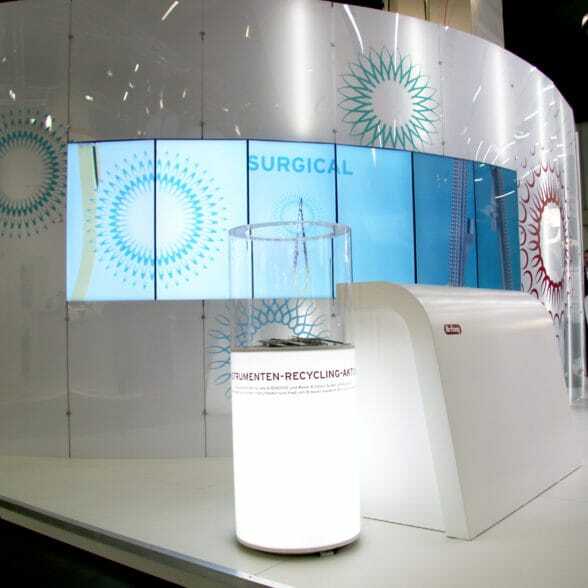 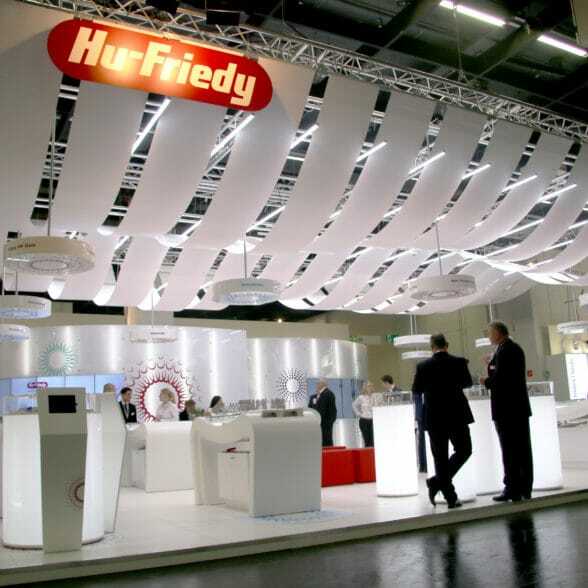 Hu-Friedy asked Plant the Brand to create a stand concept for their most important presentation at the IDS in Cologne. 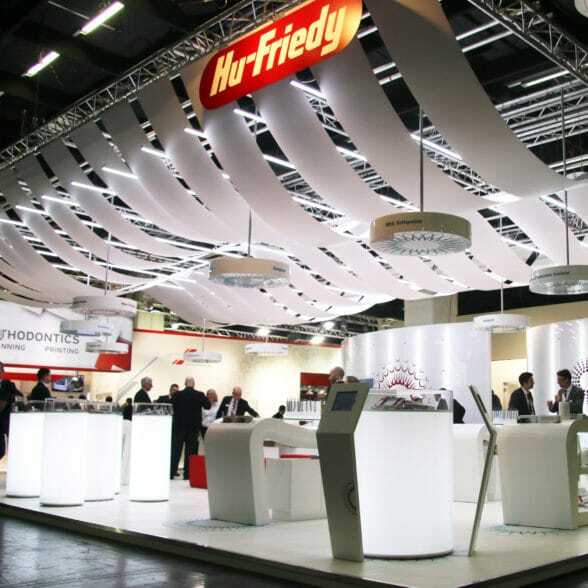 We have created a concept in which the wide portfolio of the Dental products and services of Hu-Friedy were holistic presented. 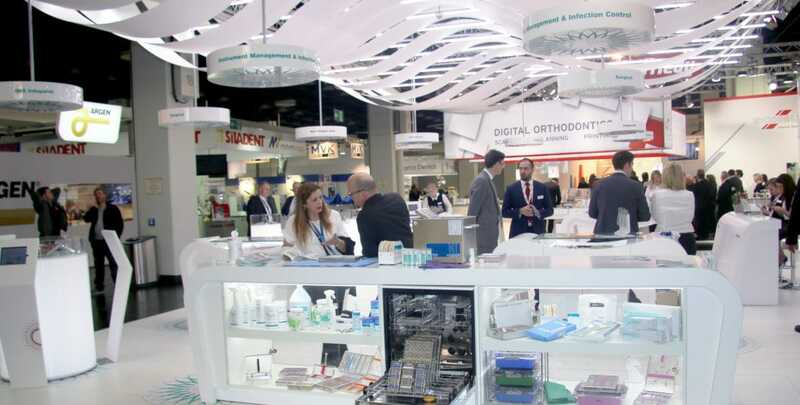 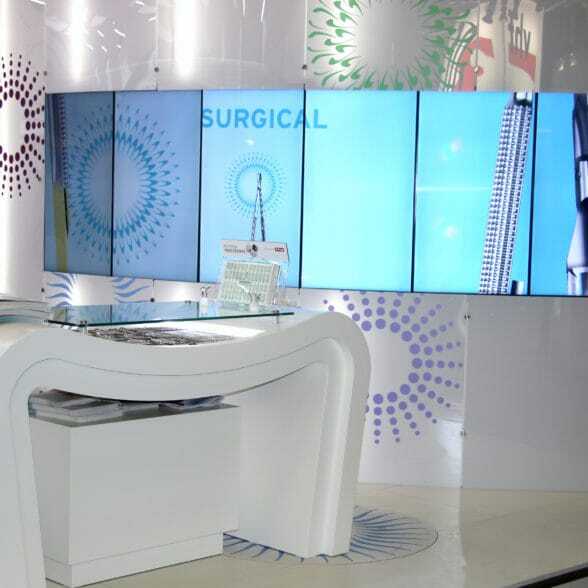 All products under one “roof”, the inspiration of the “roof” was inspired by the Dental world in which Hu-Friedy is operating.